Well, after three weeks of shocking news of acts on the announced line up dropping from the bill (first Ten who were due to do an acoustic showcase on their brand new album, then Jaime Kyle who argued her family didn't allow her flying), the day finally arrived. The venue was packed with over 300 fans eager to witness what this old hero from the early 90'ies had to offer nowadays. And here's the result. 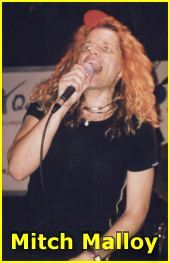 Pablo Perea, former vocalist of Spanish popsters La Trampa, (who were considered AOR by some fans), was the first to appear on stage. It was an acoustic set and he was backed by Rafa Martín's keyboardist, Pau. They played some covers by Bon Jovi, Bryan Adams and some of La Trampa's much succesful hits. It was all in all a good show, in which we could check how good these guys are when it comes to singing live. Up nexx - sorry, it was too easy! :-) - the first Spanish band ever to play on the Gods festival. Right you got it, Nexx (is it smoke that comes out of you heads?). 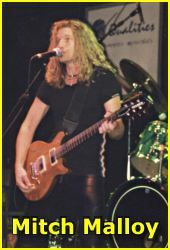 These Madrid based rockers played a number of covers as usual, among them: Harem Scarem's "Jealousy", Toto's "Endless", Europe's "Let The Good Times Rock", and Kansas' "Carry On My Wayward Son". They also played some of their own stuff, which sounded really good, "Conciously" and "After The Storm" being the highlights. Well, I saw them just a week ago on their demo release party and I liked them more last night. Patricia seems to improve every time she climbs up the stage, she is a hell of a vocalist live and the rest of the band were also really good, (unlike their previous gig where specially Bernardo, their guitarist, wasn't particularly fortunate). They'll play the Gods on Saturday and my advise would be don't miss them (even if they play at lunch time) cause they'll probably amaze you. 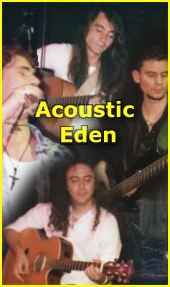 They were followed by Acoustic Eden, a weird name for a mixed band. 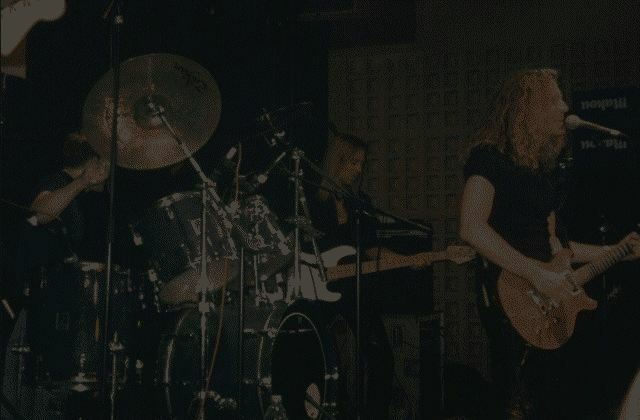 The actual name is Eden Lost, a Spanish melodic hard rock group, but their vocalist wasn't able to appear so they picked former Reina de Corazones vocalist (another bunch of unsuccessful Spanish melodic rockers from the early 90'ies) to do the job. They added nothing new as they just played 4-5 songs, mostly Bryan Adams and Bon Jovi covers, (hell, should this have been called a Cover Night instead?). Anyways, they left the audience in the mood for the star of the night, Mr. Mitch Malloy. 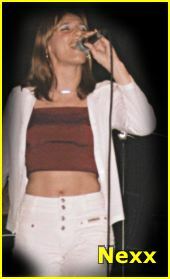 They started out with "Mission Of Love" which was welcomed by Mitch's mostly female fans. Malloy and his boys delivered quite a good show, a bit too short, maybe, but if you take into account they climbed the stage at half past 1 in the morning it's somehow understandable. 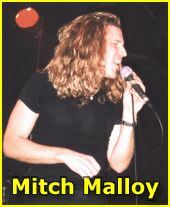 The band really did a pretty good job backing Mitch, particularly the drummer who was amazing, and fans were especially receptive to the songs from "Shine", Mitch Malloy's latest album. He also played a new song he wrote ater the events on Sep 11th, called "Don't Run Away", which will be featured on his next album. Also featured were some songs from his classic debut including "Anything At All", which was the encore. The audience was delighted, everybody had some fun, including the band which seemed to enjoy themselves a lot during the gig, and so it was worth of the money we paid. Personally, I didn't expect this guy to rock that much live, which he did to my surprise, so I was pleased. But he left me with a serious doubt. Although he sings really well live, I couldn't hear a lot of the details his voice transmits on studio; a case of not too well achieved live vocal sound or technical problems? I want to believe it was a sound board affair, but I have my serious doubts, as seemed to me that this guy tends to scream a bit too much for my delicate ears. But he undoubtely is a great singer and knows how to get the job done, unlike many other screamers out there. All in all a good gig and a nice evening of melodic rock, despite the abuse of Whitesnake, Bon Jovi and Bryan Adams covers (3 of each on the whole night).